It’s been another brilliant year for the Cabra Senior Library blog with blog visits up by almost 50% on last year! more posts and comments this year too. 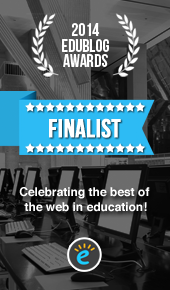 We were also short listed for the best Library/Librarian Blog in the Edublog Awards for the second year running. All in all a great year. For a detailed summary of activity on the blog this year check out the WordPress report below. I hope you enjoy the rest of your holidays and look forward to seeing you in 2014. We are thrilled to announce that visits to our blog have now passed the 5000 mark. In less than a year the Senior Library Blog has grown in range and depth and the number of frequent visits reflects the usefulness and popularity we are aiming for. Since January the following new pages have been developed: Aboriginal and Torres Strait Islander Info, Copyright, Film, Blog guidelines, and a virtual Reference Desk. We have over 30 people following the blog and regular visitors from all over the world. If you have any suggestions for improvements or additions please leave a comment.